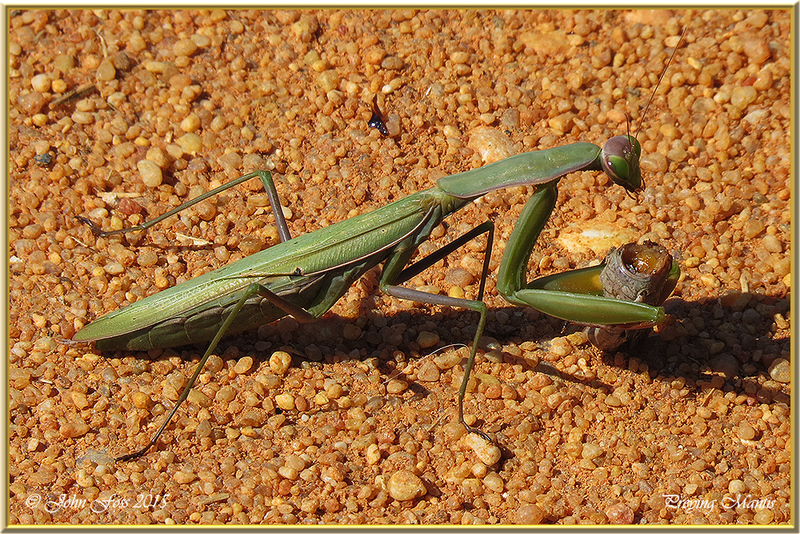 Preying Mantis - There are over 2000 species of the Praying Mantis. 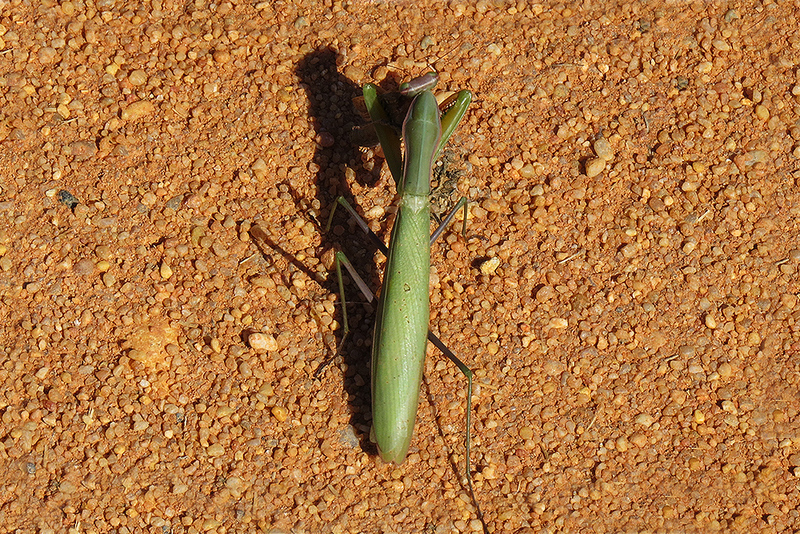 They are so called because of the front legs often being held together as in the prayer position. They can turn their head through 180 degrees to search for prey. They are perfectly camouflaged and strike out at their quarry with amazing speed. Grasping it between the front legs which are spiked to retain the prey. They normally remove the head of its victims first to prevent it from escaping. 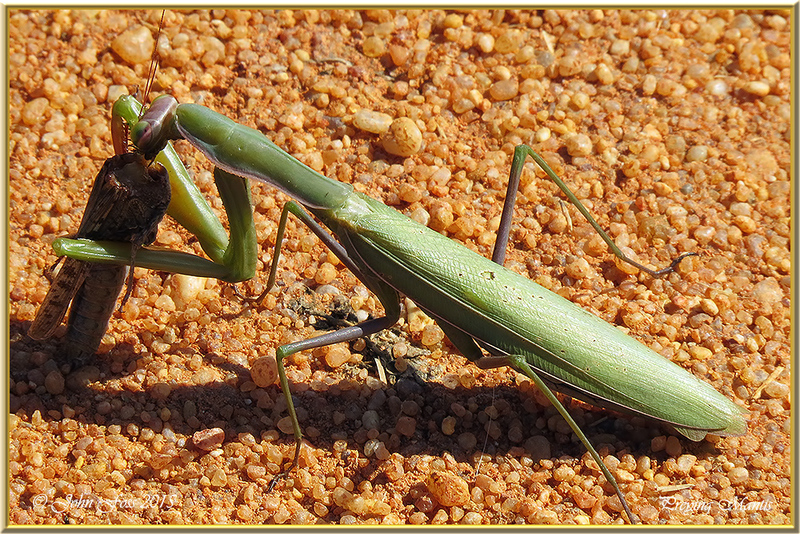 I came across this one in the Algarve devouring a moth at Ludo saltpans in Portugal.